Perhaps one of the best opportunities for apologists these days is that of blogging. You can put out your thoughts and people can read your content for free, no matter where in the world they live. There is a sense of anonymity in that your audience can read your posts even if their culture would not approve of such activity. This is an exciting time to be involved in apologetics. As much as this is a great opportunity, it is also a tremendous responsibility. It is not something that apologetics bloggers should take lightly. 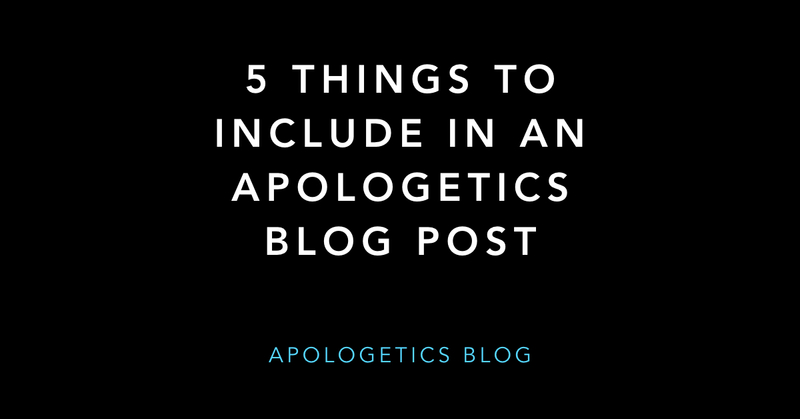 As a result, I have put together five things should be included in an apologetics blog post. When I say research, I do not mean hours and hours of reading commentaries and academic journals. I basically mean do your homework. Check your facts. Don’t just put anything out there that sounds good. Too many well-meaning Christians pass on stories that affirm their views but are not factually accurate. If you get caught in a major mistake, people will be very hesitant to believe anything else you post. You do not have to be a professional writer to be a blogger. That is the beauty of blogging. But that does not excuse bad writing. The main thing that you need to do is say what you want to say. Don’t try to impress people with flowery prose. People should be able to read your post and know what you are trying to say. You will not get three re-reads by your visitors in an attempt to understand. Sometimes an apologetics blog post is inspired by an event that made the blogger upset. That is good. But that energy needs to be put into a well-researched, well-thought out, well-written post. If you use your post to vent your anger, you are not being an apologist, your are being a grumpy Christian. Write with enough respect that someone with a different view would read your entire post. Make sure your post is written in a way that you still be proud of it after your anger has subsided. A blog post is not long enough to answer every question. Hopefully, after a person reads your post they will want to learn more. Their reaction should be, “That is great, I want to learn more about this.” Wouldn’t it be great if they decided that your blog is the place to learn more? 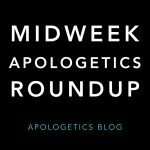 If you are an apologetics blogger, consider putting these points into practice. Make the best of the opportunity you have.